and so on, and so on, and so on. . . . . . . Watching these videos, not only was I amazed at the ease and versatility of this product, but of the limitless ways to make marks. I mean, I guess I realized it before, but seeing them flash in front of my eyes one after another, after another really brought to light how many ways you can make a mark and the type of marks is only limited by your time and energy and creativity. So I start looking at different marks you can make on fabric and THAT was its own rabbit hole. I really can't wait to practice trying some of these different marks One of the things I like best is most of these are done with fabric paint which I can use in my cold winter house (rather than thicken dying of summer weather), use any kind of fabric with no need to prepare it and use very little chemicals. Like I said you are limited by your time and energy and creativity. Besides, what human doesn't like to make their mark on the world! Okay, I am intrigued! 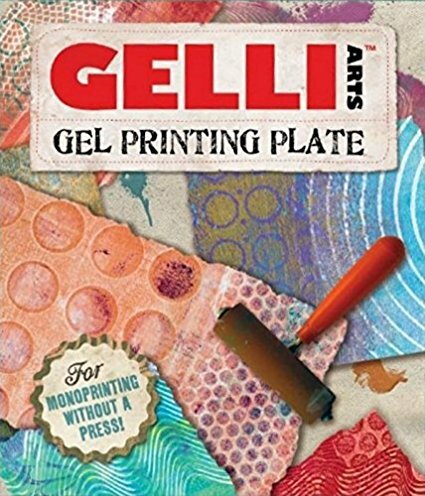 I haven't gelli printed...yet, so I will be very interested to see what you come up with. 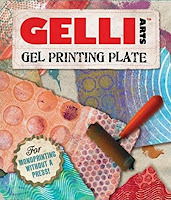 Gelli printing is so much fun! I haven't done much with my printed fabric though. I must do that this year. I have tried a little fabric paint and gelli plates in the past. I love the idea of it but I have yet to find a fabric paint that is soft when done that could be used in quilting or art quilting. If you have any ideas let me know. Love your playing designs. My personal rabbit hole is Joggles.com tutorials. A lot of them are geared towards paint on paper or in art journals, but she also does some monoprinting with fabric and besides, most everything you can do to creatively apply paint to paper you can adapt for fabric. I recognize the techniques in these videos from some of the things I've seen on joggles and yes, it gets your juices flowing for sure!